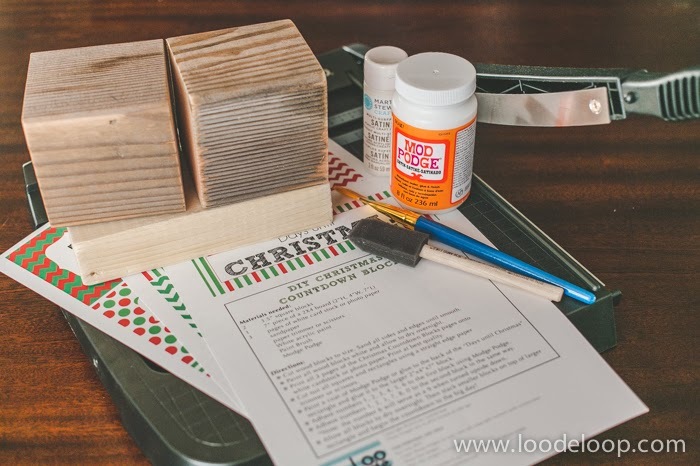 Want to get a little DIY in over this Thanksgiving weekend? 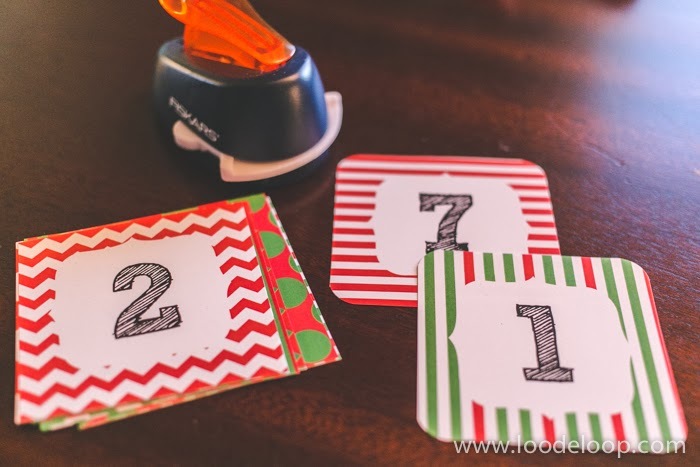 This is a simple little craft that will make counting down the days until Santa arrives a little more special. 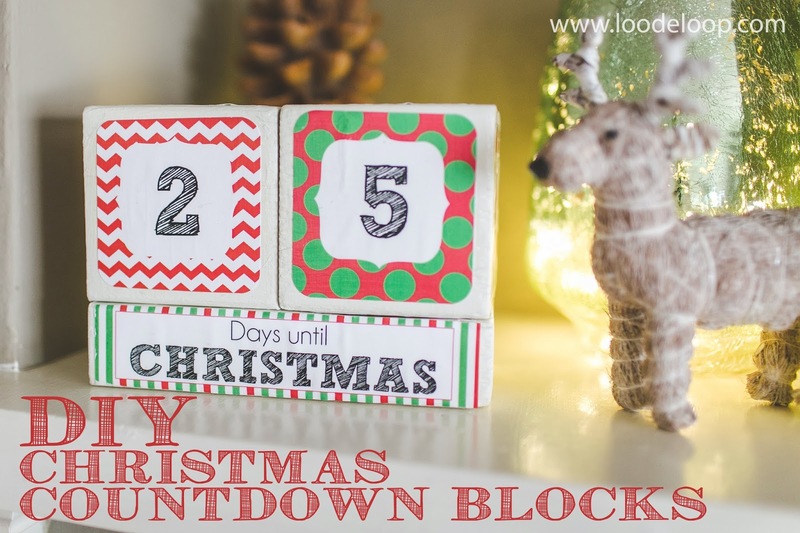 To make the process really simple you can download my Loo De Loop Christmas Countdown Blocks template for FREE until December 7, 2013. Just a little "Thank You" for reading my blog! 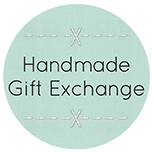 This was also my gift for the Craftaholics Anonymous 2013 Handmade Gift Exchange. 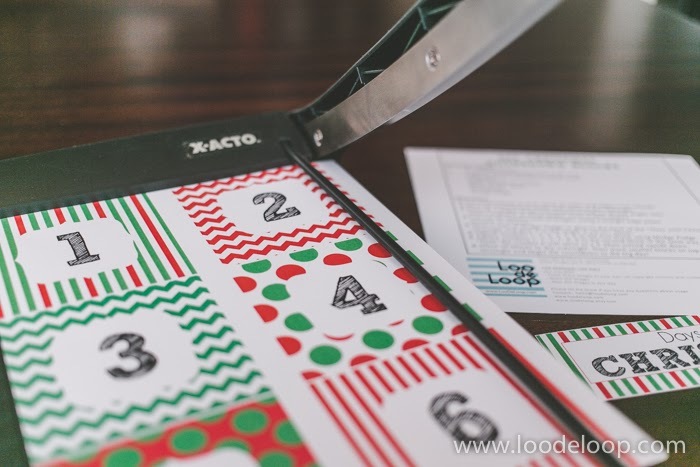 It was so fun to craft for someone across the country and trying to figure out what her Holiday decorating style is and what she would appreciate. I hope she loves it as much as we love ours. Did you know that 2x4s are not actually 2 inches by 4 inches. Yeah, me either until starting this project. 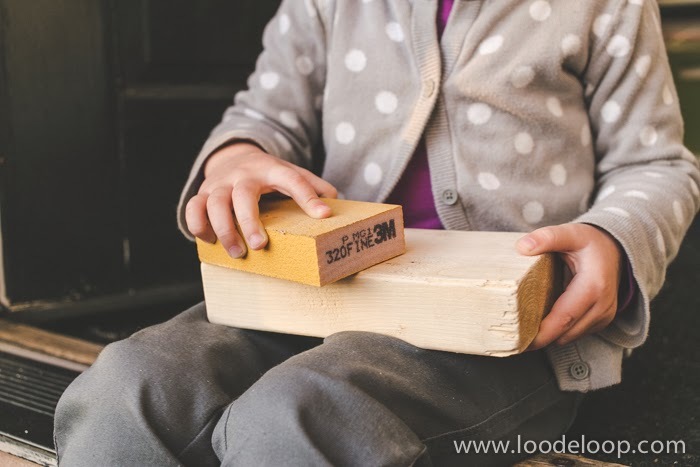 When the board is first rough sawn from the log, it is a true 2x4, but the drying process and planing of the board reduce it to the finished 1.5x3.5 size. When I went to the lumber yard to ask for a 3.5" x 3.5" block they looked at me like I was crazy. We quickly figured out that a 4X4 post is actually 3.5"x3.5". So I asked them nicely to cut the "4X4" post into 3.5" lengths leaving me with a 3.5" cube. I also asked them to slice a 7" length off of a 2X4 leaving me with a 7" x 1.5" x 3.5" hunk of wood. 1. 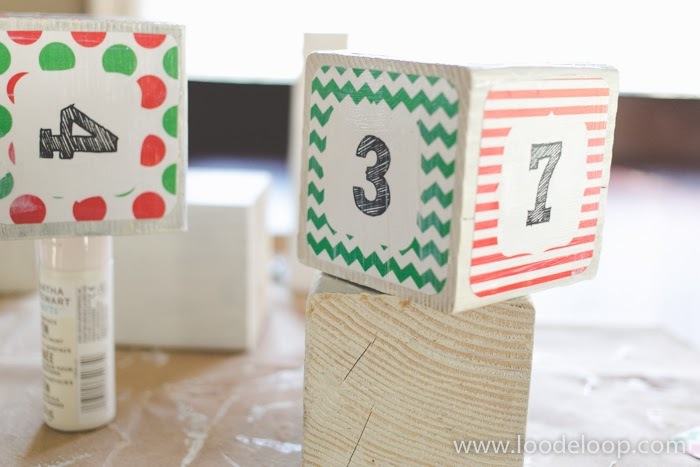 Print off the Christmas Countdown Blocks pages (3 in all). I had mine printed at my local print shop on 60 lb. paper. You really get the best color saturation that way and the heavier paper allows you to Modge Podge over the top with minimal bubbling. 2. Sand all sides and edges of your 3 wooden pieces. Enlist help for this stage. 3. Trim all of the squares. 4. Round the corners if you're obsessed with those types of things like I am. 5. 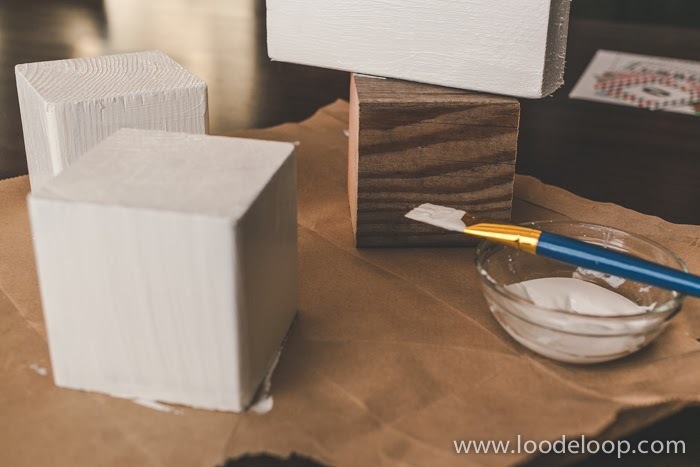 Paint all wood blocks with 2 coats and allow to dry overnight. 6. 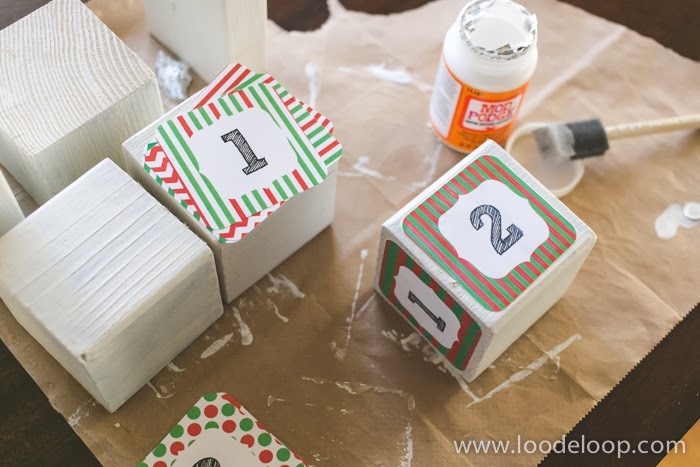 Modge Podge the "Days Until Christmas" to the 7"X1.5"X3.5" block. 7. 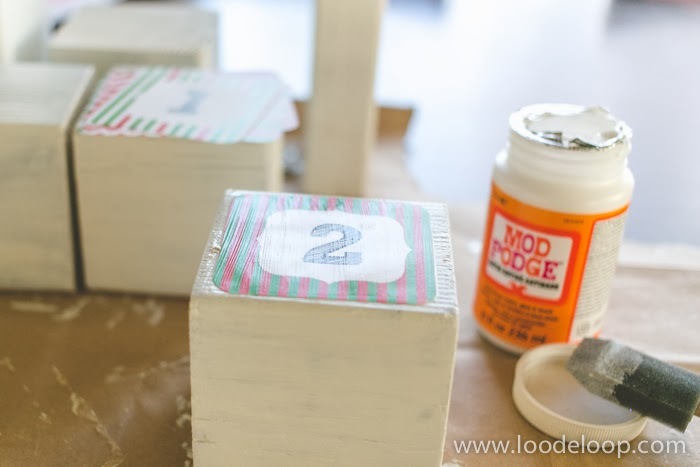 Adhere numbers 1,2,3,4,5,6 to the first block using Modge Podge. 8. Adhere numbers 1,2,3,7,8,0 to the second block in the same manner. 9. Allow all pieces to dry overnight. 10. 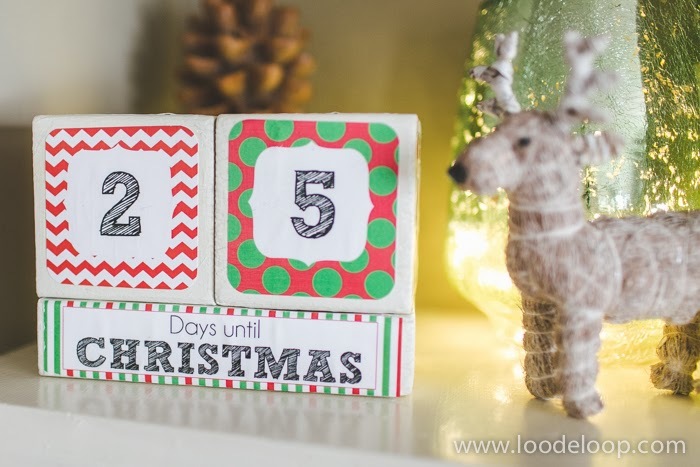 Stack the smaller cubes on top of the larger rectangle and let the countdown begin. Note that the 6 block will be used upside down as a 9 as well. I wish you all a warm and Happy Thanksgiving and hope you enjoy this FREEBIE!